I recently had the opportunity to visit Israel with a non-profit organisation Vibe Israel. When Vibe approached me about this trip I knew I absolutely had to say yes. 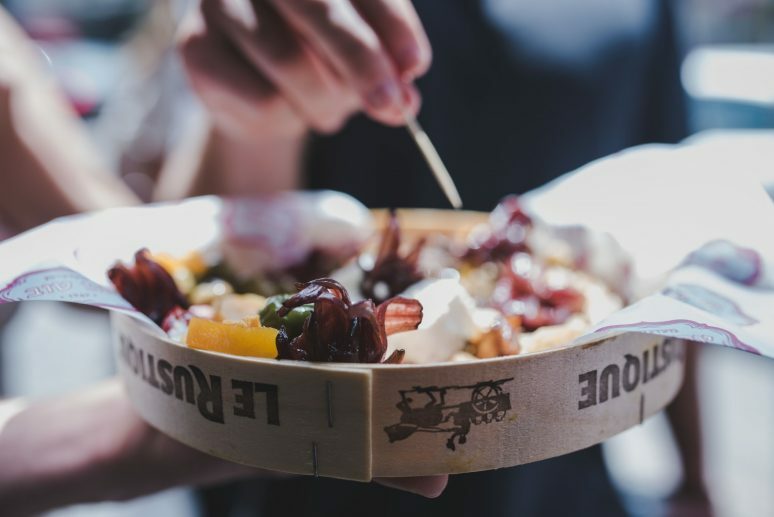 Vibe is an organisation that is not focused on the politics in the region and instead wants to show visitors another side of Israel, the tech companies emerging here, the food scene and all the fun activities. 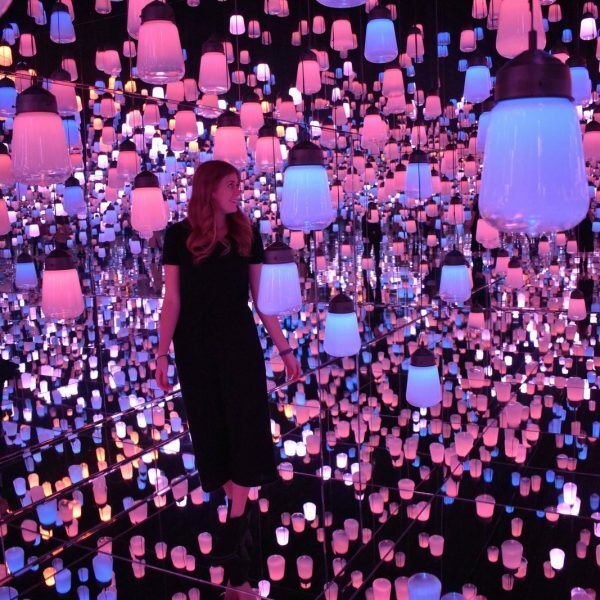 In this guide I share 11 unique and amazing things to do in Israel. Friday Night Dinner, or Shabbatt is an important part of Israeli culture. Families come together every friday to have a huge meal and evening together. 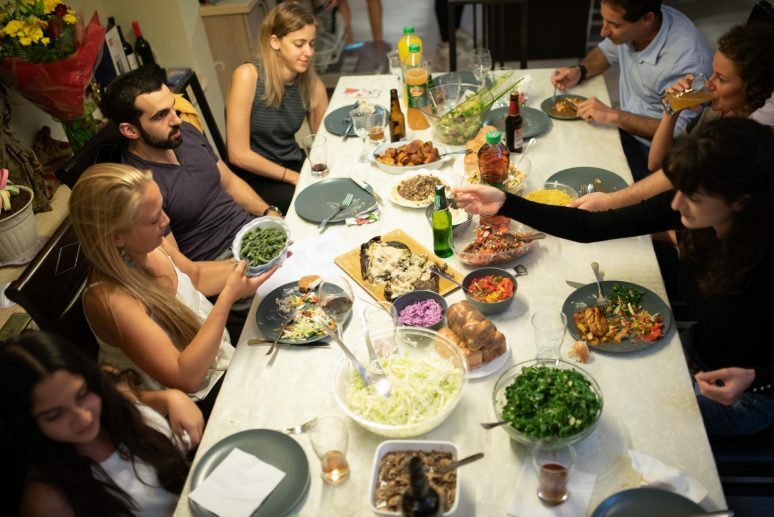 When you visit a country it’s not really the done thing to just invite yourself over for dinner, but you can still experience this Isreali tradition by booking an experience with Betzavta, a company that arranges authentic experiences for you to join a family for dinner. 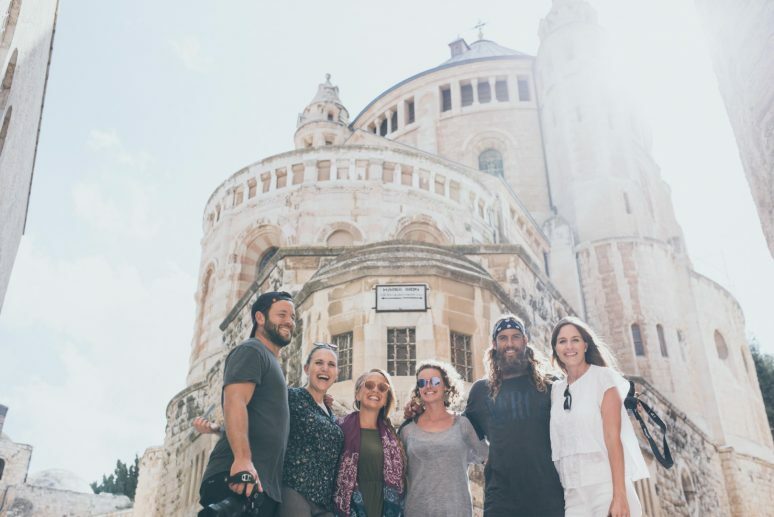 Betzavta means “together” in Hebrew and the companies mission is to bring travelers and locals together, creating true friendships through a unique dining experience. The hosts, in our case the lovely Barak Family, open their homes and invite you for a casual Israeli dinner. This was such a fun way to get to know more about Israeli life, food and family! 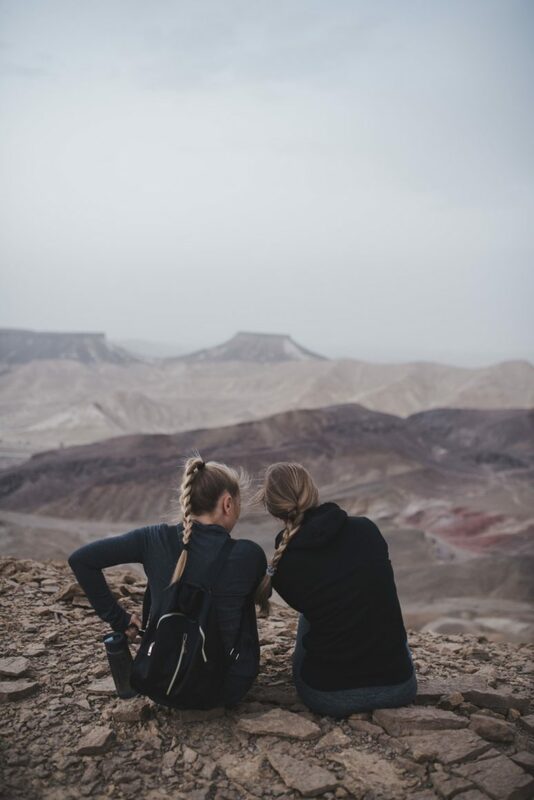 A sunrise hike is essential on any trip and one that takes you up to a stunning viewpoint over the Ramon Crater in Israel is truly a unique experience. We took a jeep out with Yotam, the desert nomad who explained to us how the crater had evolved over the years. After we watched the sunrise (behind quite a few clouds!) we got back in the jeep and Yotam took us to a secret desert oasis, a small pool of water below a cliff that you could jump from. The exciting thing about the desert is you never know what you might find around the next corner! For the adrenaline junkies abseiling over the crater is a great way to get the blood pumping. Our group took a trip to the edge of the crater to abseil over. The views from this point were absolutely stunning, stretching out for miles ahead of you. So even if you just sit and watch (like I did since I am not a big lover of heights) you will have an incredible experience here nonetheless. Learning about a country and its heritage is always important and if you can do that whilst enjoying a home cooked meal – even better! We were fortunate that Vibe arranged for us to visit a bedouin family during our trip. 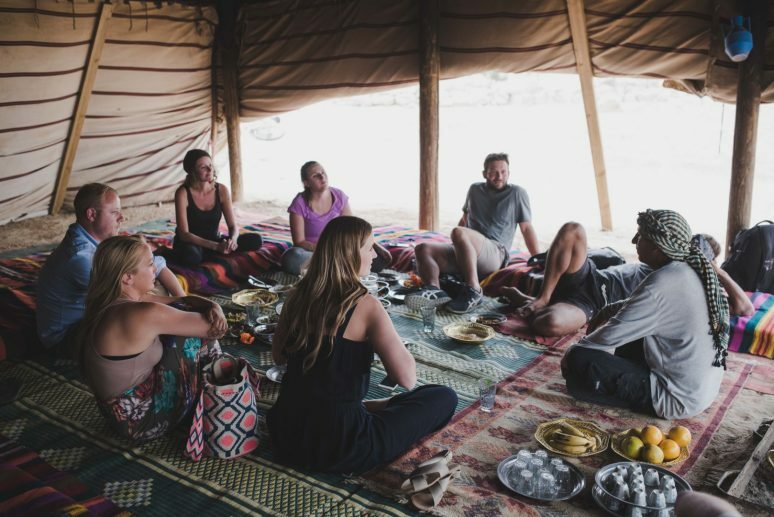 We got to spend a few hours with our host Salman, who talked to us about his life growing up as bedouin, the lessons the children are taught each year to develop their character and skills living in the desert and many fun stories from his life. And then we got to enjoy a meal prepared by the family, along with fresh lemonade and tea. The dead sea is purported to have many health benefits derived from spreading the mineral rich mud all over your body. People who suffer from psoriasis or eczema say that it relieves the pain, those who have osteoarthritis say it can reduce joint pain and of course the mud is supposed to smooth and soften the skin as well as reduce ageing and wrinkles. So when you are in Israel a visit to the dead sea to cover yourself in this healing mud is essential. For me the dead sea had quite the opposite result, the water burned immediately when I got in and as I applied the mud, the pain and burning only increased. So if like me If you have sensitive skin at all, do not apply the mud to your face and try to avoid splashing any water on your face. Make sure to wash off with mineral water and apply a lot of moisturise after. Read more in my article Everything You Need To Know To Swim In The Dead Sea to prepare yourself for the experience. I am not sure who coined the term glamping, but it has changed the way we camp forever! 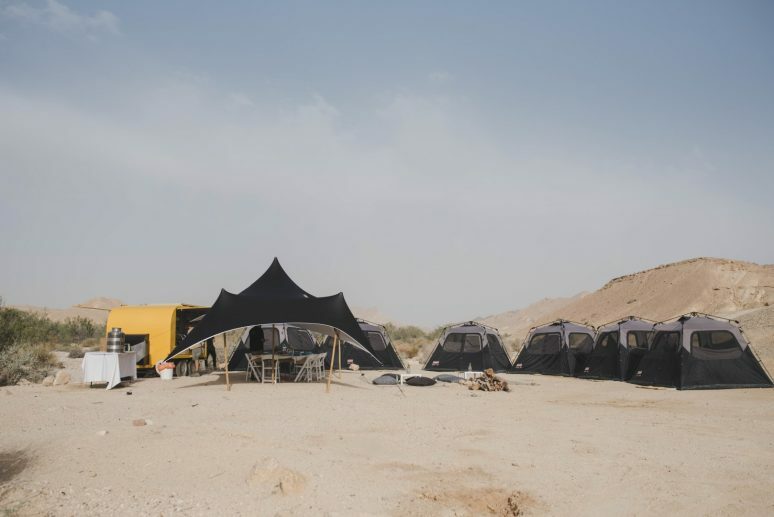 Many countries have adopted glamping and Israel is no different offering the opportunity spend your night under the stars in the desert with Happy Glamper Israel. This was such a cool experience, Happy Glamper set up a series of tents along with a fully equipped open kitchen trailer where you can cook up a delicious meal. Then for the evening sit around a bonfire under a star-lit desert sky with your friends! Without making a statement about Jerusalem or it’s location, when you are in Israel you can of course visit Jerusalem. I have to say that this was the absolute highlight of my trip. I love historical destinations, and Jerusalem has such a deep and rich history to explore. 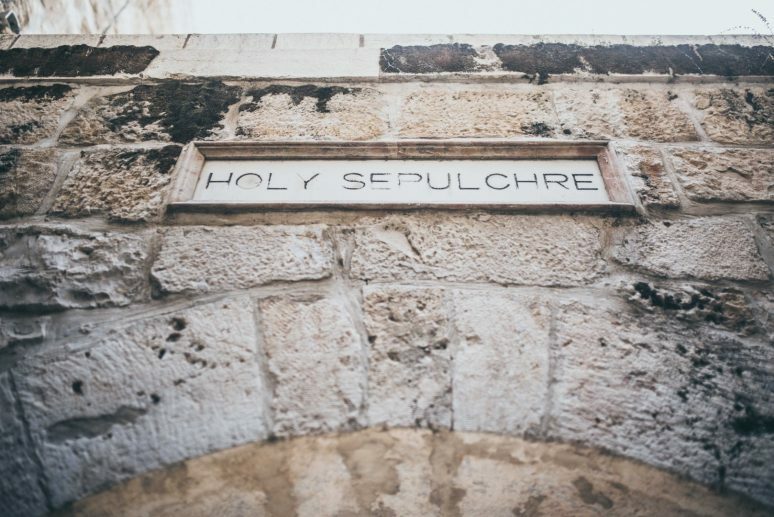 I was also in awe of the number of pilgrims who make their way here every day to walk in the footsteps of Christ and visit the Church of the Holy Sepulchre in the Christian Quarter of the old city of Jerusalem. 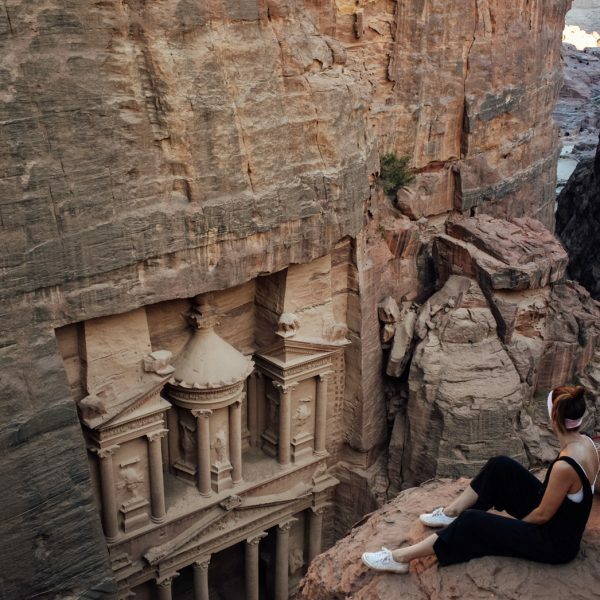 We took a day tour with Daat Travel and I would highly recommend doing the same so that you can explore all the quarters of the old city and learn about each of them. 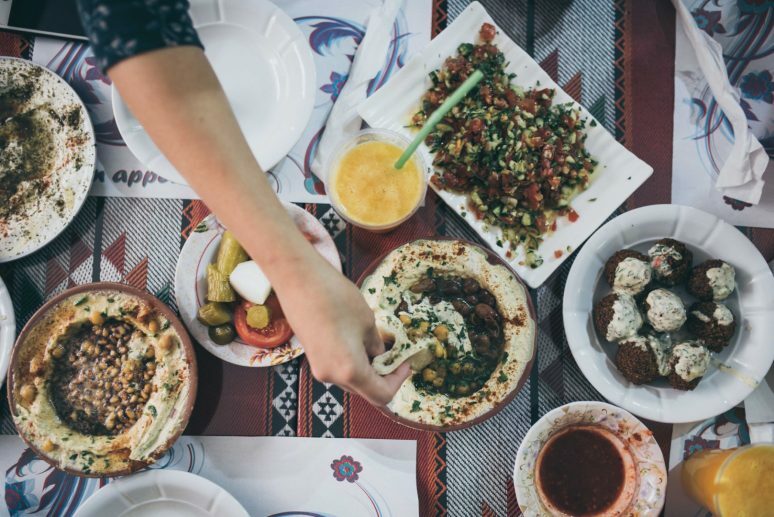 What list of things to do in Israel would be complete without a mention of eating hummus?! It may not seem like a ‘thing to do’ but believe me it is! In fact there are even restaurants dedicated to different types of hummus. But my favourite hummus meal was at one of the restaurants in the market in Jerusalem on our tour. I’m afraid I don’t know the name of the specific stand we stopped at, but I imagine most of these spots in the market will serve up similar delicious dishes – so make sure to take a break during the day to enjoy a few plates of hummus! If you follow my Instagram account you will have seen that I shared some amazing photographs of the dead sea taken of Alex and I on an unusual salt formation far out into the sea. Not only is the salt formation unique, a dead tree that resides at this spot makes it an extra special and magical place. 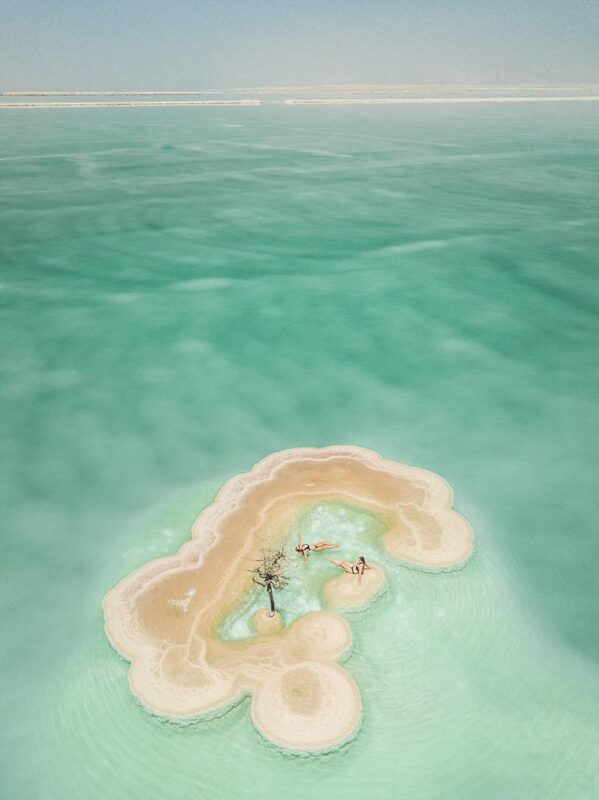 Head over to my article Where To Find A Dead Tree In The Middle Of The Dead Sea to discover the location of this incredible salt island. 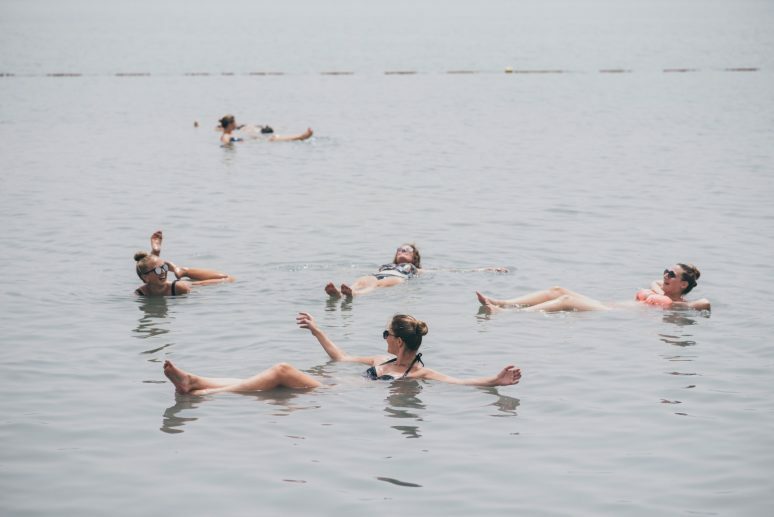 Did you even know that you could dive in the dead sea? 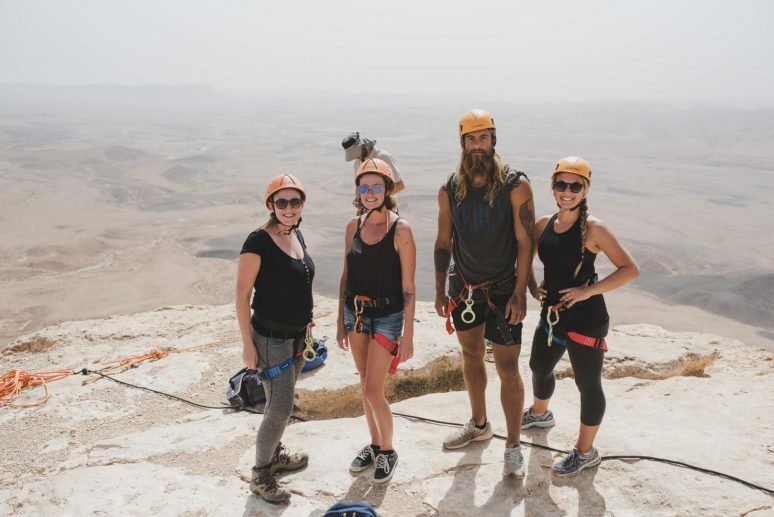 I certainly didn’t, until on our Vibe Tour I met Alexandra Baackes of AlexInWanderland.com who had spent a week in Israel prior to our trip diving with Out Of The Blu. 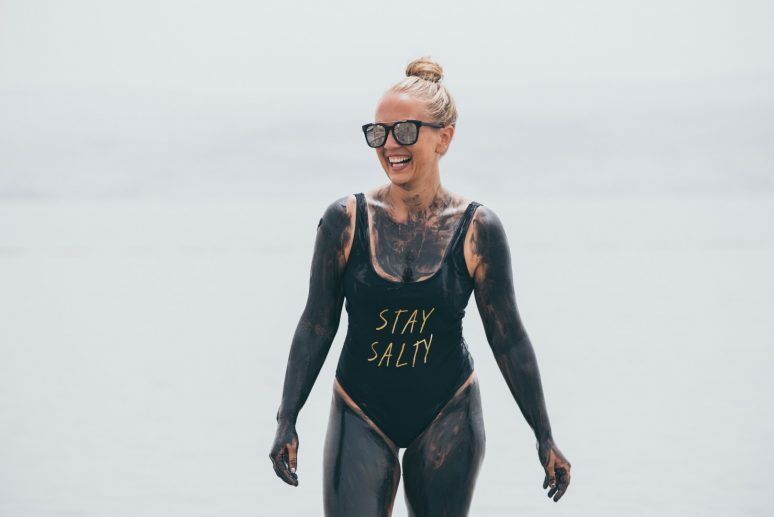 In fact since diving in the dead sea doesn’t sound that appealing – think full face masks, A LOT of weights to pull you down and of course no fish, not many people actually do it. So Alex joined just a few hundred divers in the world who have even does this activity! 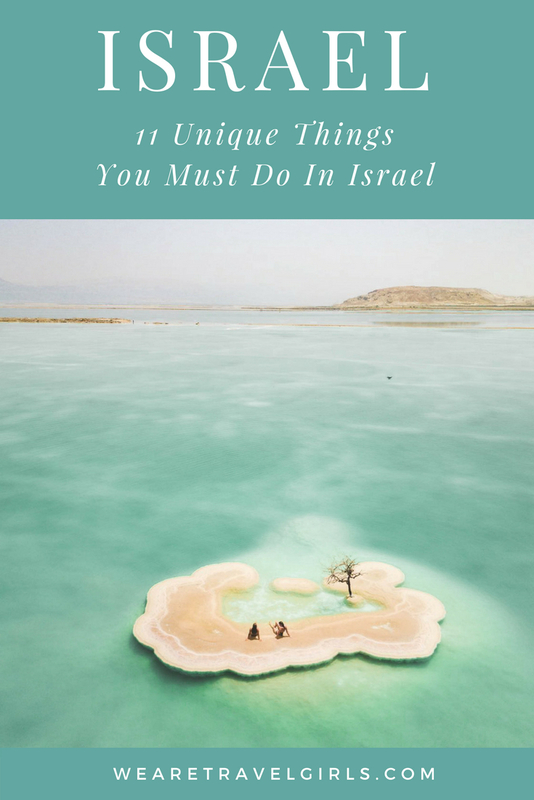 If this article has inspired you to visit Israel to do one or all of the 11 things to do Israel that I have highlighted then you may be looking for somewhere to stay. During our trip we stayed in two hotels in Tel Aviv and Jerusalem and also the Happy Glamper tents in the desert. These hotels were great and well located in each of the cities, so I recommend checking them out. In Tel Aviv we stayed at Saul Hotel which is part of a larger group of hotels in Tel Aviv. In Jerusalem we stayed at Herbert Samuel which is perfectly situated right in the centre to explore the new parts of Jerusalem and to walk to the old city. 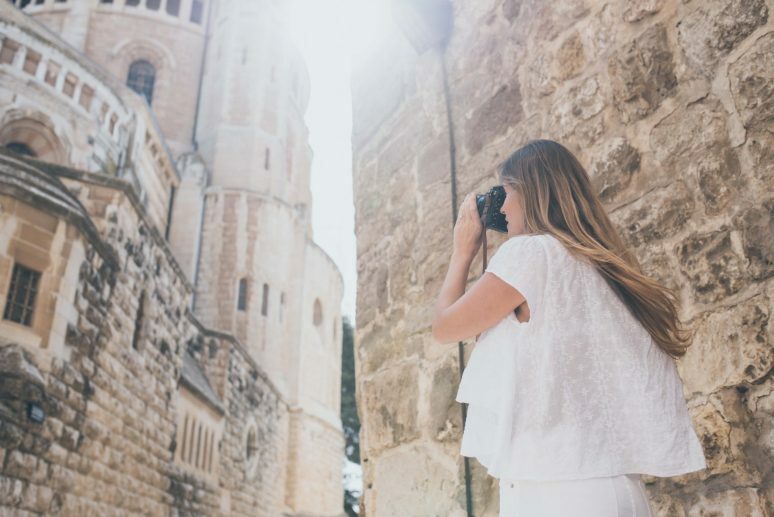 We hope that this article has inspired you to visit Israel. If you have any questions about the destination, please leave these in the comments below. Hey! I am gonna visit Israel in this June, and it is so great to see this article and know this website. 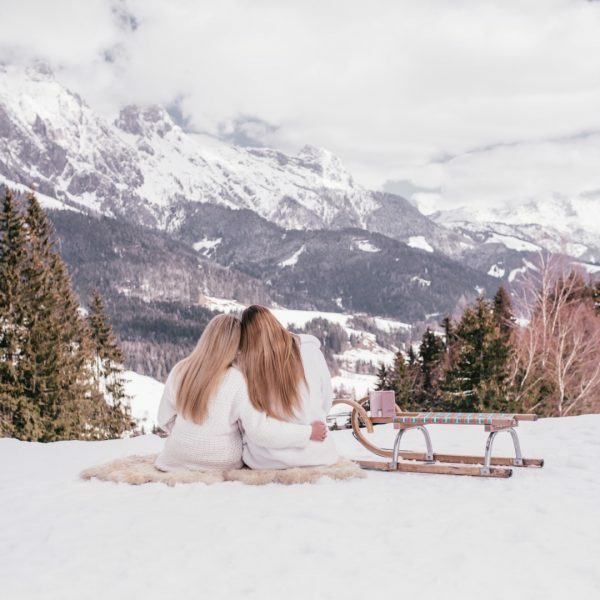 I would be sure to contribute my travel experience and always follow and support “wearetravelgirls”, Here is the question, how about the budget if I do these 11 things and spend around 12days there?